SABOR Restaurant is reminding you to book your private or corporate functions with us. 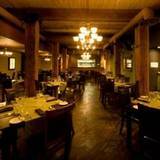 Well known for our private rooms, we have the desire and expertise to make your event a success! Please contact us directly to discuss how we can make all your functions perfect! Please fill in your information below and Carolina Johnson will contact you as soon as possible to book your event. If you’d prefer to talk now, please call us at (780) 757-1114.